Its elegance and charm will seduce you. Discover Provence like you never saw it before ! Embark with us to discover all Provence hidden beauties ! From the Cité des Papes to the Luberon, treat yourself with an unforgettable experience! 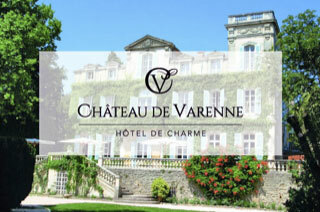 Château de Varenne boutique hotel is a charming and luxurious destination offering bed and breakfast in the heart of Provence which will make your holiday an unforgettable experience. This charming 13 bedroomed guesthouse is a former XVIIIth century residence that looks out on the Rhone Valley and is located in an exceptionally calm and green three-hectare estate above the small quaint village of Sauveterre..